It's time. 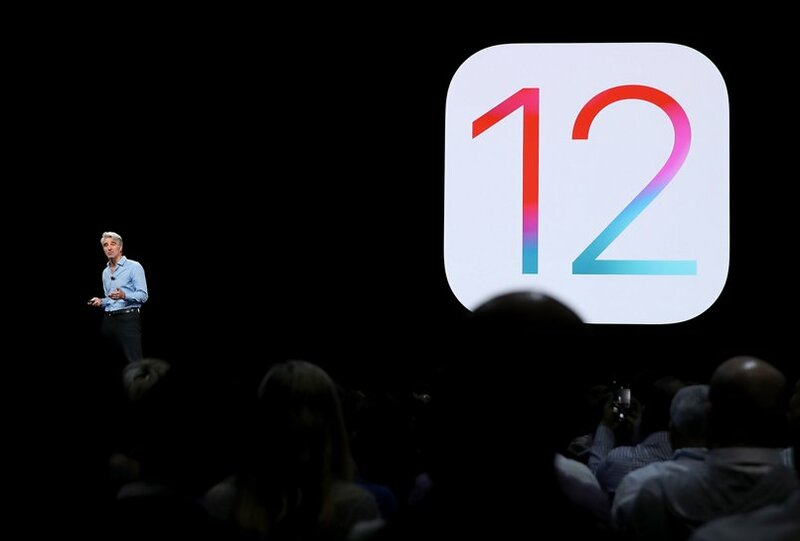 iOS 12 is now available to download on your iPhone and iPad. Apple has just released the public version of the new version of its operating system and users can install it on their devices. We review all the news of iOS 12 and the improvements it brings to your teams. 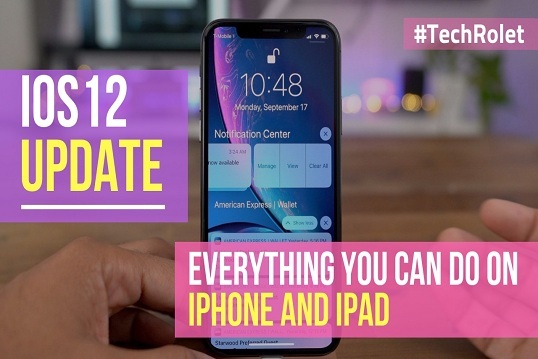 Of course, make sure you prepare your equipment well before installing iOS 12.
iPhone 6, iPhone 6 Plus, iPhone 6s, iPhone 6s Plus, iPhone 7, iPhone 7 Plus, iPhone 8, iPhone 8 Plus, iPhone X.
iPad Pro (9,7), iPad Pro (12.9 inches, 2015), iPad Pro (10.5 inches, 2017), iPad Pro (12.9 inches, 2017). iOS 12 is supporting and improving the performance of devices launched five years ago. That is to say, that an iPhone 5s or a first generation iPad Air will receive software, improvements and security patches for six whole years. Launching apps up to 40% faster. Accessing the camera from the lock screen is up to 70% faster. Activating the keyboard is up to 50% faster and typing is faster. The sharing sheet opens up to twice as fast, even if you have many apps there designated. Although performance improvements are very welcome, Apple has also wanted to provide a few powerful new features for users. FaceTime in a group with up to 32 people, will be available in a forthcoming update this fall. It has a way to focus on the most active members of the conversation, it works with audio and video calls and lets you join at any time. It will also be integrated with Messages. You can use an Animoji or your Memoji during a conversation via FaceTime. New effects of filters, shapes, stickers of iMessage, add text and activity medals reminiscent of those you find in Clips. Of course, end-to-end encryption of communications. New types of Animoji: Tyrannosaurus Rex, ghost, tiger and koala. 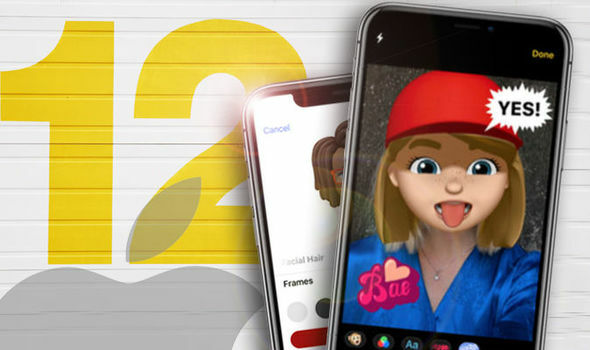 Creator of Memoji : an editor where we can create our own Animoji in the form of an animated face. With iOS 12 the Animoji and Memoji detect the winks and when you stick your tongue out. Now they last up to 30 seconds instead of just 10 seconds. To send a photo, we must use the Photos app as if it were another app. You can add effects to the photo when we use the camera: filters, stickers, words, and shapes. The apps strip has been redesigned in Messages. In which apps and websites do you spend most of your time? How much time you spend on each of the apps, with daily and weekly views. Includes all iOS devices associated with your Apple ID. You can put much more precise parental controls: by time, by the app, etc. To spend more time in one of them, you must ask for permission. Establish which apps are always allowed, designed for emergencies. Disconnect from the device at a specific time by Time of Inactivity. You can not use apps or receive notifications, although you can make exceptions. Grouping of notifications coming from the same app, that can be displayed with a touch. You can manage a notification as soon as you receive it, without having to go to the Settings. You also have the option of notifications being delivered only in the Notification Center. Siri can help you choose which notifications require to be displayed and which ones to do silently. You can set certain notifications as critical and they will be delivered to you even when you have activated Do Not Disturb. Now you can respond to a message with a heart or thumbs up from the notification itself by keeping it pressed. When you activate Do Not Disturb when you go to sleep, the screen brightness will decrease and notifications will not be displayed on the lock screen until the next day. That way you avoid getting distracted by them if you wake up in the middle of the night. Do not Disturb now has several new options: activate for 1 hour, deactivate when you leave a site or at the end of an appointment. Augmented reality shared between users and with persistent elements (which do not disappear). ARKit 2.0 allows you to recognize objects in three dimensions. The scenes are now more realistic, with reflections and higher quality. As with the Animoji, ARKit detects where your eyes are looking, if you are winking and if you are sticking your tongue out. Now developers can use a new format for Augmented Reality files with the USDZ format. The lighting in portrait mode of compatible iPhone has been improved. The camera is able to place a "mask" in front of the face to better identify the limits of the face and the background. New API for developers to be able to separate the different layers of a portrait. QR codes now appear highlighted in the frame to make it easier to identify them. New tab For You: you will see the Memories that the iPhone suggests, as well as suggestions of effects to be made in certain photos and see the activity of your shared albums. When you go to a concert or on vacation with someone, Photos will suggest you share the images in which that person appears. The search has been improved with suggestions, places and featured events. Photos now support the RAW edition from the app itself. The album view is now easier to manage thanks to the fact that it has been redesigned. Siri gains new capabilities and features with iOS 12, in addition to a new app called Shortcuts. Siri suggestions, where the assistant will suggest ways to do the things you do frequently in a faster way. For example, activate Do Not Disturb mode when you have dinner with your parents. Add shortcuts to frequent actions you do with your iPhone. For example, you can tell Siri "pasta" and activate a 12-minute countdown when you cook pasta. New shortcuts app, from which to create "recipes" for automated workflows by simply invoking the magic word to Siri. Available as a separate download. New capabilities of Siri: find your iPhone, iPad or AirPods; search among your passwords; translate to other languages. Share passwords between nearby iOS devices, for example when entering credentials on an Apple TV. The system will notify you of the passwords that you repeat in different web or services. The security codes that arrive through SMS can be autocompleted on the web or an app. Now iOS 12 suggests complex passwords when you sign up for a new service or website. iOS 12 prevents advertisers from tracking you across the web with sophisticated techniques. Books, Stock Exchange, and Voice Notes have been completely redesigned. Favicons of websites on the iPad. CarPlay now supports third-party map apps. New gestures to activate the Control Center and reach the home on the iPad. More functions in the annotation tools: more colors, thicknesses, and transparencies. Jayapal, an engineering student who made blogging as a career and turned it has a passion. Being a hyperactive guy, he always struggles in exploring Tech Stuff. Now, he is working at Vinstechs as chief-editor and contributing 10+ Blogs. you really share an interesting post and thank you very much for writing such a fantastic blog because as reader we got to learn a lot from your content. Thank you so much for your awesome comment.